Sales Outsourcing, We act as your extended team responsible for all operations associated with sales activities that starts from product/service training to closing deals. “We grow with you”, a major chunk of our remuneration is linked to the actual sales achieved for you. We will act as an internal sales team would, using your business cards, email addresses and CRM system to build sales pipeline. Sales do not happen without a steady stream of qualified prospects. The sales team will be backed by marketing to build brand awareness and most importantly generate qualified prospects for the sales team. 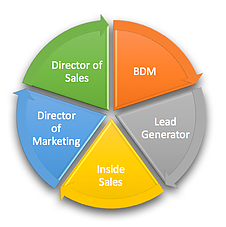 Sales and Marketing at Startup company is different from a fully operated company. The urgent for sales is crucial, and in most cases even critical to be able to show their investors the ability to take their new technology to the market, and further to increase the value of the company. Most of the Startup companies have limited budget for Sales and Marketing, with few personals doing all the task. ZingPro provides a highly-professional team, who will become your business development team.